The day has finally arrived. Your sweet little girl has morphed into a beautiful woman right in front of your eyes, and today is her right of passage into adulthood: homecoming. She got asked by the quarterback of the team, and she can't help but wonder how good of a person she must have been in her past life to warrant such a fortuitous status now as a sophomore in high school. She must have cured world hunger or found the cure for terminal brain cancer to find herself blessed to this extent now. Offensive guard? Nope. Backup? Nope. She landed the dreamy, dimple-flaunting 6-foot-3 inch all-american. But now it's Mom and Dad's responsibility to not mess this up! You guys only get one chance, so make the right decisions. Odds are, she wants you to spend a lot of money on her dress. Do it. Next, pay exorbitant amounts of money for her to get her hair done. Fail at this step, and land in the doghouse until she's 40. Now is the most important part. It is crucial...the transportation. Oh, you thought you were gonna chauffeur her and her hottie around all night? Please. Don't get us started. You have a better chance of beating me at tic-tac-toe, and guess what, I don't lose at tic-tac-toe. So you're stuck. You can't drive her and her man around in your 03' Mazda. They need the royal treatment, and we'd be disturbed if you felt any different. 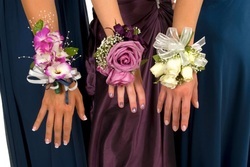 Yes, we here at Vancouver Limo Service PDX, offer a unique perspective on the whole prom & homecoming thing. We give great deals, provide a luxurious service, and have the friendliest drivers this side of the Mississippi. Call us today to book a limo with us! You'll find yourself in good graces with your darling princess. Who knows, if the date goes well, you might have been responsible for your daughter finding her future beau.